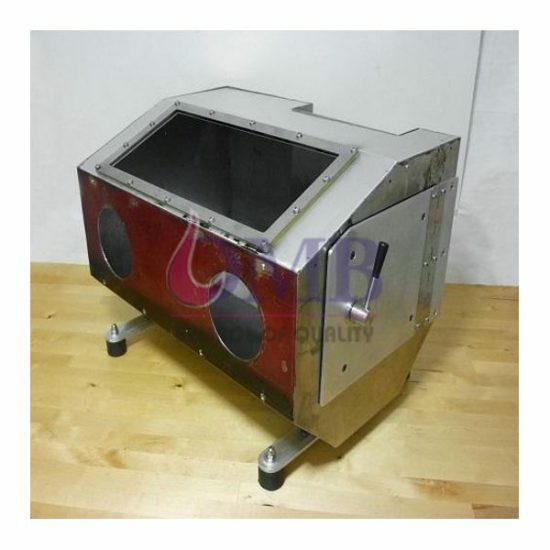 We also offer a wide array of high-quality Sandblasting Boxes. Our comprehensive range of these boxes is made in accordance with the industrial standards. We use a high-grade material to make our range free from any defect, therefore, our quality experts check and test them on various quality parameters. Available in 25″ x 15″ and 25″ x 17″ x 20″ dimensions, these boxes are application specific and can be availed at reasonable rates in the market.